I love watching Bar Rescue. It’s just another “reality” show about a guy with a huge resume in operating bars who comes in and does a complete makeover for a bar that’s completely in the red. Funny thing is, I actually don’t like bars very much at all. I find them to be money drains – why should I bother paying $5+ for one mix drink, when I can make one at home for a fraction of the cost, as strong as I want, get as drunk as I like, and simply have to stagger into my bedroom rather than having to wrangle up a designated driver or spend more money getting a cab or something? But obviously there are a lot of people out there who love going to bars, and many bars are wildly successful. Then there are the bars that are struggling. Most of the time it’s poor management, whether by inexperience, unrealistic expectations, or just plain ego. Here is where Jon Taffer comes in. He’s got 35 years of experience, and uses demographics, market research and statistics to make bars successful. And he’s not exactly there to make friends either. Plenty of bar owners, general managers and employees end up hating his guts. He’s brash and loud and won’t sit there listening to excuses and buck-passing. I know if he was coming to see me about MY business, I’d be nervous as hell. But what I like about him is that most of the time, he’s absolutely right. He zones in on the problem areas, does an overhaul (sometimes dragging the owners kicking and screaming along), but in the end, the bar is a LOT more attractive, a LOT more appealing to the locals, and will more times than not end up doing a lot more business. Last night was the season premier, which included two new episodes highlighting two very different bars. The first episode focused on Piratz Tavern, a bar with a VERY heavy pirate theme, including complete costuming and acting, located in a corporate-heavy area. The owner had been there 5 years, and was nearly a million dollars in debt. As per the show’s formula, Taffer sends in a test patron. Unfortunately, it was obvious that his wife, the first undercover patron, was made pretty quickly and the employees fell over themselves to be attentive. So he sends in a couple in pirate costume, the owners of The Bone, a bar he helped turn around in a previous season (and the owners were more than happy to help him out by the sound of how well it was doing). The couple are left at the front of the restaurant so long they seat themselves, then are berated for doing so, and their food is atrocious to the point where the Piratz owner comps the dinner. Taffer goes in to meet the owner, and is immediately met with resistance from nearly everyone there. Now, I understand this is “reality” TV, where you see cherry-picked video clips. Getting the full story is going to be impossible. 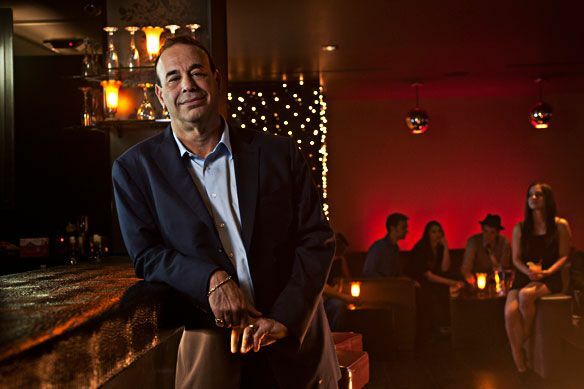 But right from the start, Taffer states the obvious – the business if failing because the theme is too narrow and the atmosphere is too much like a Renn Faire to appeal to the types of people in the area. I’m all for themed establishments. They can be a lot of fun and entertaining, but when you are nearly a million dollars in debt, and living in your parent’s house, you HAVE to accept that it’s not working out and that something needs to change. They fight him tooth and nail in the beginning, but as the show goes on, they seem to step back and let him do his thing. He brings in a mixologist to help the bartenders, and brings in a chef to help the kitchen staff. He pulls out the market research he’s done and points out the corporate offices within just a small area around the bar. He tells the owner that she’s missing out of a lot of revenue, but she needs to drop the overbearing pirate theme. Here is where Taffer makes a critical mistake. While I agree that the over-the-top pirate thing was just nutty, I would have loved to have seen the theme done in a modern, more subtle way. Instead, Taffer completely overhauls it into a strictly corporate atmosphere (literally calling it “Corporate Bar & Grill”, with the logo of a silhouetted business man). I hated the logo. It was stuffy, and clearly the owner and employees were totally uncomfortable. I could tell this was not going to last at all, and I was wondering by the end if Taffer had seen the writing on the wall and was just pushing so hard against them to get the drama factor going for the show. Within a week the place went back to the old Piratz Tavern. I can understand why, but if I were in their position, I would have at least modified the business to try and find a happy medium. Sadly, the owner and employees didn’t appear to take anything from the experience, and in fact posted a mind-numblingly childish, 5+ minute video of them burning the Corporate Bar & Grill sign and singing a “shanty.” There’s nothing wrong with trying to build a business you really love. There’s nothing wrong with playing dress-up, and if you want to do that all the time, have at it. But the owner appears to be in complete denial about the fact that she’s drowning in debt, living in her parent’s house with her husband and teenage daughter. There may be a little bump in business due to the show, but in the long run, I don’t see her getting out on top. The second episode yielded better results. It centered on the beachfront Bamboo Beach Tiki Bar, where the owner seems to enjoy the blondes more than focusing on cleaning up the decaying bar and getting rid of bartenders that consistently show up hours late for work. The bar was in a prime location, and the owner was extremely lucky to have very little competition. So Taffer sends in his test patron and discovers that the bartenders are using a terrible, cheap mix to make drinks with, that bar is really dingy, and to top everything off, she finds a blonde hair in with her food (there’s video of the server sitting there twirling her long blonde hair right before picking up the food plate). Taffer goes in, and starts doing his schtick… points out the non-working refridgerators they filled with ice (but there’s no drainage), the hole in the floor they covered with a serving tray, the open mix containers that for an outside bar just attracts bugs. He also calls out one of the waitresses for not showing up the day before and not even bothering to call in. For the second day in a row, Hair-twirler shows up hours late, and Taffer demands that the owner let her go. Which he does, but Taffer smells hesitation, and when he hears that the owner will “talk to her after [the show] is all done” he gets him to promise that she will NOT return to the establishment, because that would undo his authority and he’d lose the respect of his employees. The second act of the show is where the staff is being supervised and retrained on mixing drinks and learning new, easy recipes to serve a higher-end clientele. The bartenders are having some trouble getting things done quickly, and the head chef is exploding, but overall there is great improvement. Taffer finally gets to renovate the bar itself, and the designer has to work through driving winds and rain in order to get things moving (the poor woman looked like a drowned rat). When the new bar is revealed, the name changes ever so slightly to the Bamboo Beach Club & Tiki Bar… a subtle change but one that definitely gives the bar a different feel. Broken appliances are replaced, the flooring is re-done, the bar top is rebuilt, and even the old outdated TV sets are replaced. Cloth curtains are placed along the perimeter to complement the furniture that was brought it. Where once you expected a frat boy to walk up and get loud and obnoxious, now one would expect a high level executive and spouse to come by for a drink and light dinner right on the beach. But it’s not so exclusive as so deter the fun tourist crowd. The complete opposite of the first episode, I don’t see the owner of the Bamboo having any trouble getting his business from failing to fantastically successful. Posted on July 30, 2012, in Television and tagged Bamboo Beach Club & Tiki Bar, Bamboo Beach Tiki Bar, bar rescue, Corporate Bar & Grill, jon taffer, Piratz Tavern, taffer, The Bone. Bookmark the permalink. 8 Comments. Is this that evil show that I watched with you where I wanted to punch the guy for making the restaurant so completely atrocious?? Regardless, I love when you talk about businessy stuff (even if it’s in the form of critical analysis of a reality show). Gotcha! And yes, he was EVILLLLL!!!! You can still take classes you know… 🙂 You certainly have a head for business and when you write about it, you really make it click for people like me who are not business oriented. Love that planetarium – I haven’t been there in YEARS. HI-LARIOUS, I knew exactly what you were talking about and didn’t even notice you dyslexic’d the letters. BWAHAHAA.